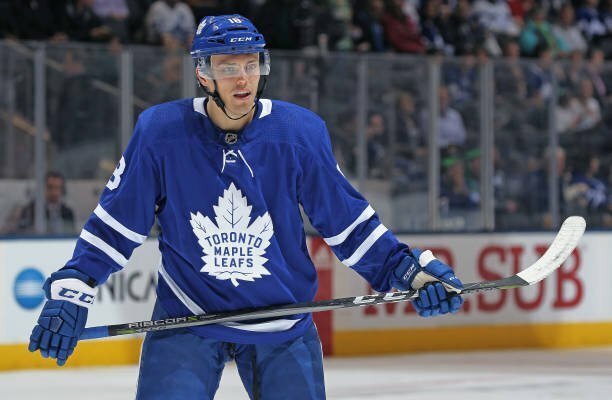 Will the Toronto Maple Leafs trade Andreas Johnsson and a 1st round pick for a top 4 defenceman? TSN Radio 1050: Bob McKenzie was on Toronto radio and confirmed that the Toronto Maple Leafs are willing to trade a first round pick and likely either Andreas Johnsson or Kasperi Kapanen for a top 4 defenceman. The big question is who will the Leafs target? The team does not need an offensive defenceman, they need a a top 4 defenceman who is tough to play against. Edmonton Oilers dman Darnell Nurse would be a great option for the Leafs, but would the Oilers trade Nurse for Johnsson and a first round pick? Toronto also needs to add some toughness up front that can score and the perfect player would be Carolina Hurricanes forward Micheal Ferland. The Leafs would likely have to trade Kapanen to get Ferland. Rumors are the Hurricanes would rather trade one of their young defenceman for a scoring forward. Where will Wayne Simmonds be traded to? TSN Radio 1040: Pierre LeBrun was on Vancouver’s radio station and he was asked about Philadelphia Flyers forward Wayne Simmonds. LeBrun believes he will be traded and likely destinations are the Boston Bruins or Tampa Bay Lightning who are looking to add some team toughness and someone who can play on the 2nd line. The Toronto Maple Leafs might pursue Simmonds if they decide they need some “heavier hockey.” Their first option might be Ferland and if they can’t land Ferland they could target Simmonds.